It’s Wedding Season apparently. I mean, I went to a wedding on Saturday (it was fine thanks) so I guess that confirms it. But since it’s Wedding Season I’m not going to bang on about things you shouldn’t do but get you all excited about things you can give to people to get them excited. It’s their Wedding Day though, so it’s going to have to be a pretty tight gift to get them to take their eyes off from each other. We all know that champagne encapsulates the spirit of celebration so for the lavish, overpriced and totally over-the-top, why not try a magnum of Louis Roderer Cristal 2005. It’s been in and out of favour with the Pop/Rap elite but this Champagne remains a delicious classic and 2005 provided superb conditions for an outstanding vintage champagne. And when they finally open it, they're going to need some pretty sweet flutes. 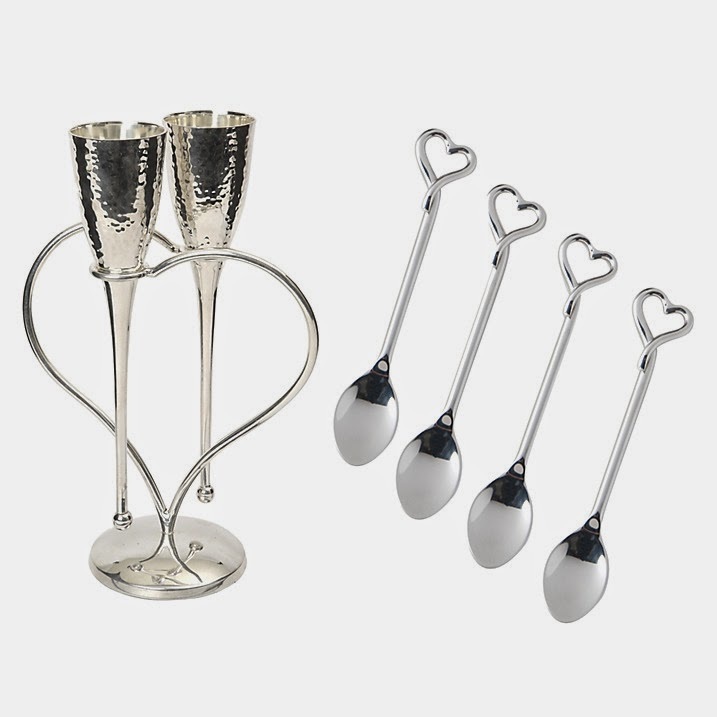 Classic beauties don't have to break the bank - these John Lewis patterned flutes are only £6 each! 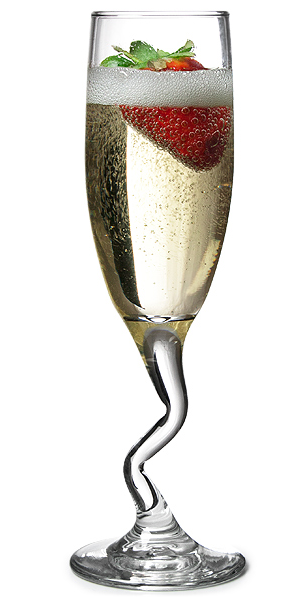 For those that zag when others zig, these zig-zag flutes from DrinkStuff are pretty sweet (a set of four is £14.99). For the bride who loves wine and the groom who loves dinosaurs (I think these are going to be the centrepieces at my (her!) 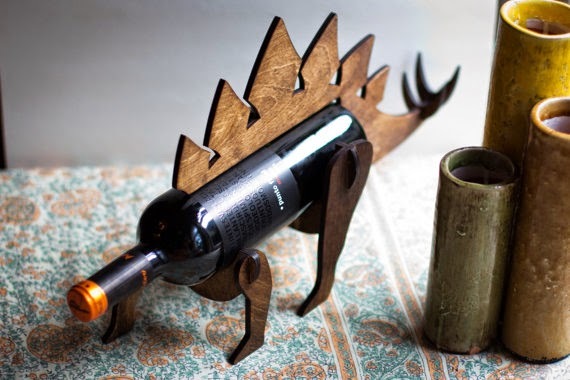 special day) a wine bottle holder that is actually (not actually) a dinosaur. Laura first pointed me towards this little piece of wine-y magic back in July and I think they’re extra spesh. 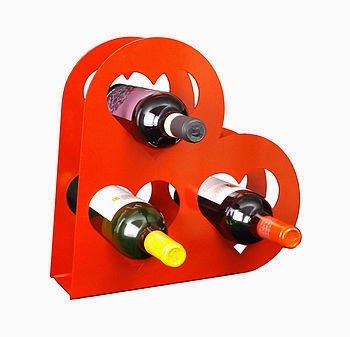 There's loads of other weird and wonderful wine racks you could go for - how about one that's heart-shaped? The Metal House's heart wine rack is £34.99. 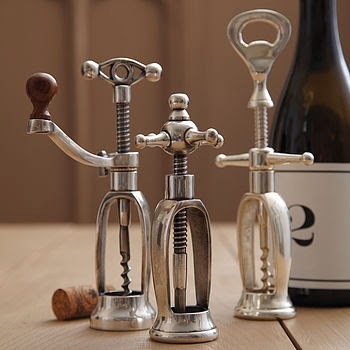 For the happy couple that like to entertain, and have a roguish collection of antique glassware, crockery and a sideboard to match, what better to use to open that 1982 Chateau Lafite-Rothschild than these delightfully quirky Antique Corkscrews. 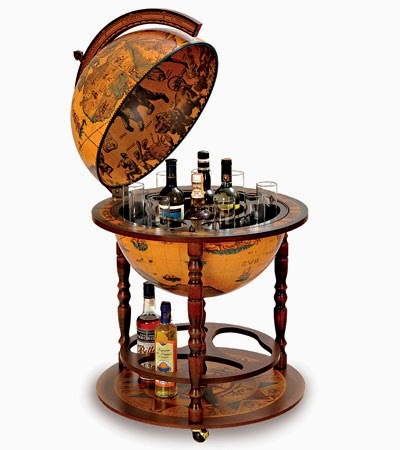 Or the quintessential addition to any gentlemen’s smoking room: The Globe Bar. It is over £200, but if you club together with some other rebellious wedding guests you might be onto a winner. 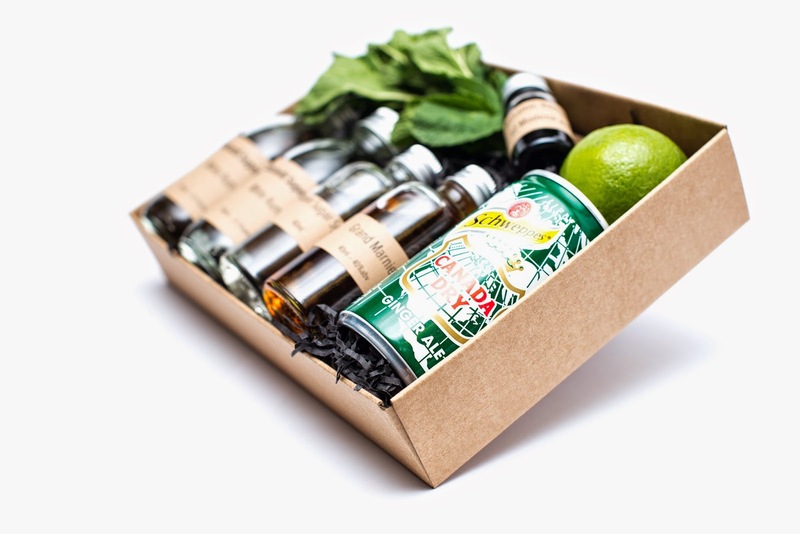 Another one of Laura’s finds; Twist Cocktails are a brilliant, cocktail subscription service and if you newly wedded friends are budding Mixologists or simply love a Manhattan, why not treat them to the Mixologist’s kit which includes everything they’ll need to get started apart from the booze which can be supplied for £25 per month, but can also be purchased ‘soft’ as a one-off. Now you may argue that the majority of these gifts aren’t necessarily couple oriented. So why not buy them an experience they can enjoy and share and remember together. Vinopolis is a great wine and spirit tasting experience and a great day out. And if you’re interested in going down the lifelong, till-death-us-do-part-route, and getting the happy couple started on a wine odyssey why not buy one of them membership in The Wine Society to share. So here’s some inspiration for you if you’ve got someone’s special day coming up this Wedding Season. Or maybe these are a few things that are on your prospective gift list? The place was aesthetically pleasing with very good decorations and seats. The place had a great layout overall, and was at a comfortable temperature. Cool gift ideas!! Totally keeping this in my notes! I get the same gift of patterned flutes form my groomsman's gift at my wedding. Thanks for beautiful remembrance through your post.